Woke up to a gray, chilly day, but who cares when spring is in full bloom in my livingroom? There’s really no better pick-me-up than fresh flowers! 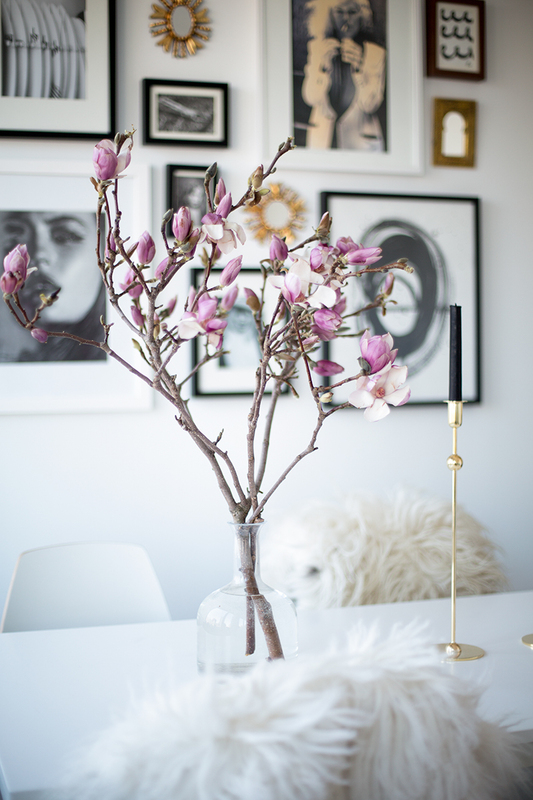 This entry was posted in Interior design and tagged gallery wall, Home, Interior design, magnolia by Carolina Engman. Bookmark the permalink. beautiful! And I love the black candles as well. I am in love with the details of your living room! So charming, minimal and calm – good for a relaxing atmosphere. Just beautiful! I’ll be doing this tomorrow, such a pretty way of getting a bit of Spring into your home. That really is a pretty pick me up! And those candlesticks are great too! These are so beautiful!! I must find some for my room as well. Ah spring! Love the blossoms juxtaposed with the black candles. Not at all as precious as one might expect. Lovely photos! Love the photo gallery in the background! I wouldn’t have though about magnolia to decorate my home, but the idea is great ! The pictures are beautiful ! Beautiful place, Carolina! Love your art and the candles! So glamorous! Love these flowers, great job with the photos! So great to see you finally posting! I hope you post some more! 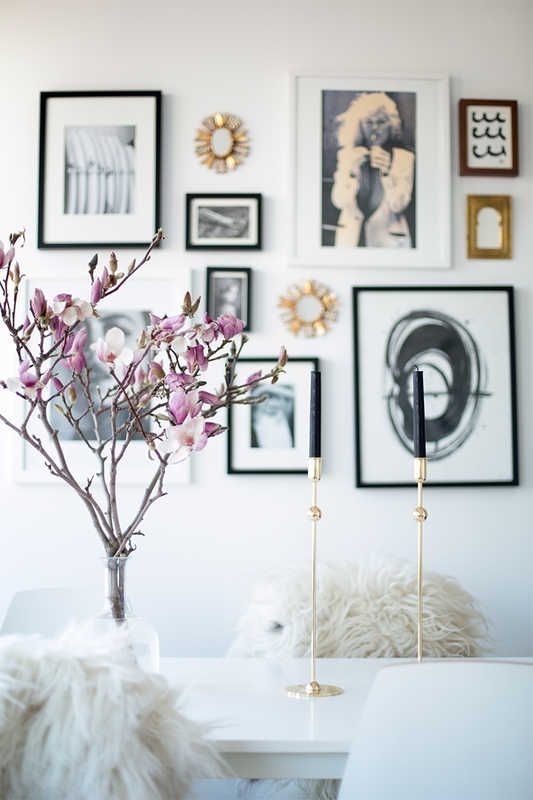 Gorgeous pictures and you gotta love the Magnolias! This looks just wonderful. I love your sense of aesthetics!